MMA fighter Jordan Parsons died today after he was struck by a hit-and-run driver in Delray Beach, Fla., early Sunday morning. He was 25. After several days in a coma and with his right leg already amputated, Parsons was taken off of life support at the request of his family, manager Glenn Robinson told the Palm Beach Post. Parsons was 11-2 and scheduled to fight at Bellator 154 next week. He was in South Florida to train at the JACO Hybrid Training Center in Boca Raton. WPTV in West Palm Beach reported that police said Parsons was crossing Federal Highway at Lindell Boulevard about 12:30 a.m. on Sunday with headphones on when he was hit by a southbound vehicle. Police didn’t know what color the light was at the time, but the vehicle didn’t stop and left the scene. “Whoever did this, they left him to die, they left him to die,” said Neil Melanson. Melanson coaches Parsons at Jaco Hybrid Training Center. Parsons is part of the Blackzilians mixed martial arts team. Two days ago, the police sent out a series of tweets with information about the suspected vehicle. Bellator president Scott Coker issued a statement about Parson’s death, via Bloody Elbow. 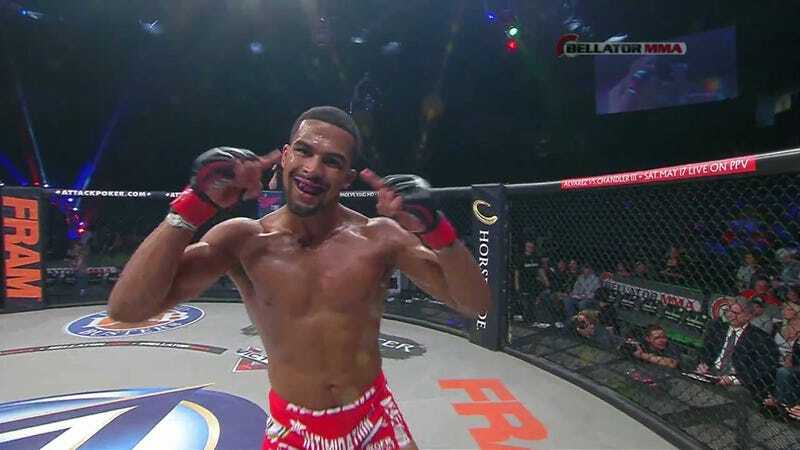 It is with profound sadness that we announce the passing of a dear member of the Bellator family, Jordan Parsons. Jordan was an exceptional athlete and a rising star in the sport. But more importantly, he was an exceptional young man. Jordan was hard-working, dedicated, intelligent, and a pleasure to be around. He represented all the reasons we love this sport. It is a terribly tragic loss and our thoughts and prayers go out to his family, friends, and teammates.